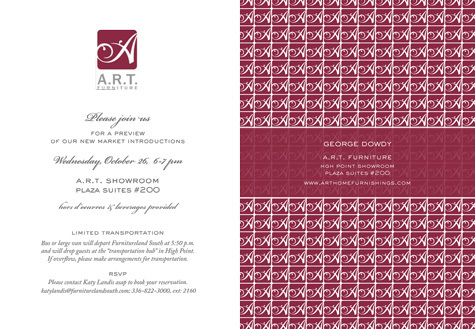 Client George Dowdy, a furniture rep, asked me to create this invitation for a cocktail party he is hosting at the High Point Furniture Market to entertain retail salespeople and educate them on his new offerings. 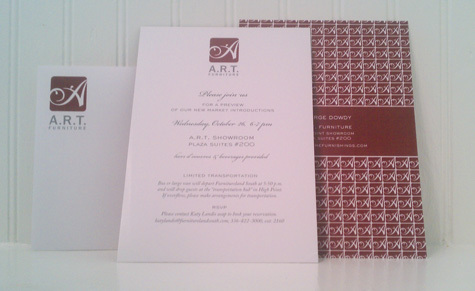 We used a traditional social invitation design for the front of the card and flooded the back with the furniture company's logo for a modern, graphic feel. I prepared this email for fine furnishings rep, George Dowdy, to promote his products to potential clients before the upcoming High Point market.